I've used this serum for several months and it never disappoints me. Whenever I have some breakouts, it always gets rid of them while I'm sleeping. It's quite expensive but it's really worth for your skin. 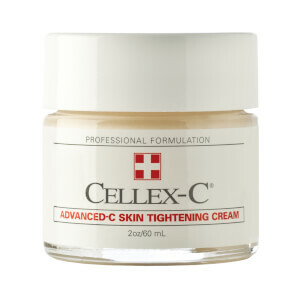 I've tried lots of brands but the products from Cellex-C made me satisfied. I am using this product several years and I think that my skin texture improve gradually along the time. I like the light texture and that is not greasy. You be careful with the sun and if you have sensitive skin. Vitamin C Formula from the good companies like Cellex C, Jan Marini, and Obagi without going into these $500 preparations I see in the catalogs with "nano this" and "peptide that" is your best bet for nice skin for years to come. I don't bother with the "etc" that Cellex says you need. Just use the serum twice a day, a few drops goes a long way, let it dry, and that's it. During the day, wear a moisturizer with a sunscreen and at night a moisturizer over it. Use a gentle face cleanser. In this case I would use the Cellex C Sunblock, Betaplex milk cleanser and an eye cream/moisturizer but I'd use that anyway, nothing more. None of this "layering on". 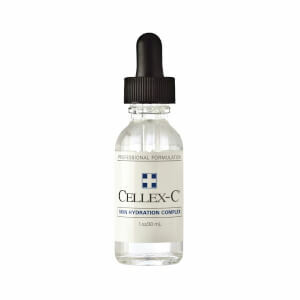 But Vitamin C, at the level and quality Cellex C makes it, is very good for your skin. If it's not working, you might be using something that doesn't agree with you, such as their B5 moisture gel. Everyone's skin is different. I think the salesperson went to town with the "working Josephine" and wasn't listening to her regular skincare routine, what exactly she wanted to correct and what was most economical. The fact that she spent so much and got no results - she should get her money back if nothing else. I still say the advanced serum is a very good buy. Lasts forever and gives me a healthy, rosy glow. I am a 37year old pharmacist with fair freckly skin and have used cellex-c since I was 25. I started using it when my mom's plastic surgeon recommended it to her to improve scars left from skin cancer. At a recent Dr. appt, my new physician looked at my med record and couldn't believe that I wasn't in my late 20s. I feel confident about the way my skin is aging--only negative-- sometimes the 17% solution irritates my skin, but then I give it a short holiday and use kinerase peptide and then to back to the cellex c. It is expensive, but less than surgery and the results are real. My skin was quiet sensitive to this product in the beginning, but after a week it was getting better. I have some spots on my face and I was looking forward that this product can at least fade it, but nothing happens after 2 months. It really doesn't worth the money. I am very disappointed. 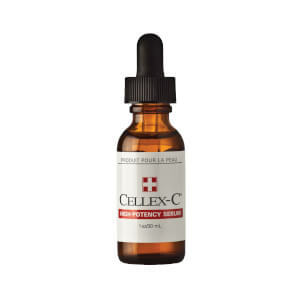 After reading all the glowing reviews on this stuff, comparing the reviews to that of other products, and then thinking it over for a few days - I ordered Cellex. In fact, I ordered a whole host of other products in this line that is "recommended" for use with in conjunction. Welp, it's now been just over 6 months, and according to the "before" picture I took, there has not been any change whatsoever in my face. Nada. Zip. Nil. Will I keep using it? NO WAY. It's far and away too expensive for a regular working Josephine; makes me sick when I think of the money I literally threw away on this. If you start using Cellex when you're about 20 and continue for the rest of your life, you may have a lot better results. But in all honesty; 45 is not the time to begin using this stuff, and expect any difference at all. I look younger than my age, but do have fine lines and enlarging pores that I wanted to deal with before they get worse. I'll just keep my fine lines and pores on my face, and leave my money in my bank account. I bought it for my mom and guess what!!! It really works~ Her skin is brighter and looks younger. Now I really want to buy one for myself! i am 38 years old,i have been using this for one year it works very well, i have been carded for my i.d.twice!!! I'm in my late 30's and have olive skin (normal/oily). Before using the Advanced c- serum (3 mos ago) I had regularly experienced hormonal-related acne/whiteheads and large pores. I also had some previous dark scaring from acne blemishes. The only wrinkle preventative products I could use on my face that would not exacerbate my acne was a few of Dr. Perricone's products. I also used Proactive products for my acne which also helped. I switched to Cellex C products and love them. They are simple to use, very powerful without irritating/clogging my skin and I have fewer breakouts that heal faster. So far after 3 months of use, I've noticed that the wrinkles around my eyes are starting to flatten out, pores less clogged and smaller, and my skin is smooth, bright and radiant. I use the Advance C serum with the Hydra5B complex. In addition I use the Advanced C Skin toning mask on a weekly basis (remarkable products that are worth the cost). Saving me from having cosmetic surgery! After having a baby, my tummy has been left with stretch marks and wrinkled skin. I was told by a dermatologist that the only solution is a tummy tuck and no creams would ever help. He was wrong. I have been using this advanced-c serum for 3 months and my stretch marks have faded away to pale white lines. The wrinkles on my tummy have firmed up about 50% and I'm hoping it will keep improving with continuous use. I use this product in the morning and glycolic acid at night so it may be a combination of the 2 products. This serum has saved me from surgery! I do not know how it is for facial use as I only use it on my tummy. Highly recommended!